I am delighted to tell you about what makes Flutes at the Barns special, and invite you to take part in your very own flute course; I look forward to welcoming you! 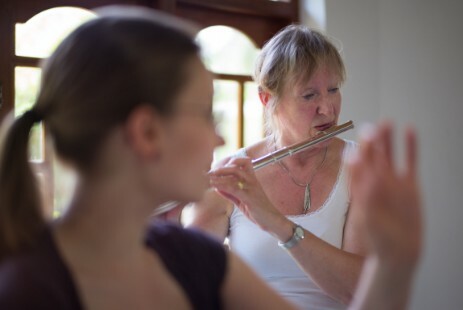 Each course provides the opportunity for every participant to take part in flute playing activities in idyllic settings, whether in the UK or beyond. As well as considering the beautiful locations, venues for the courses are chosen for their comfort, luxury and spaciousness/acoustic. Residential participants are accommodated individually on the same site as the musical activities, with private access to their own bathroom (non-playing partners are welcome to attend). All meals and refreshments are freshly and professionally provided; FATB has developed a deserved reputation for plentiful provision, with tasty menus chosen to reflect the tastes of participants and to include local produce (where possible), as well as taking dietary requirements into consideration. 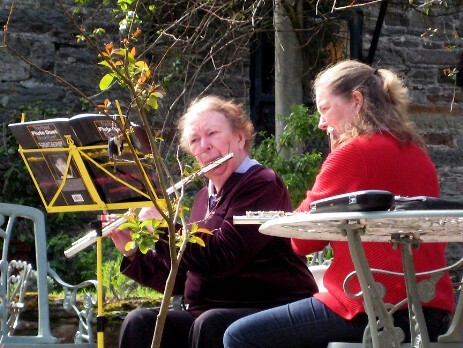 Every course is open to flute players of all standards and abilities, aged eighteen and over. 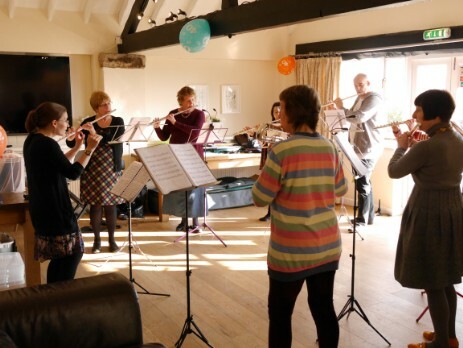 Since 2003 Flutes at the Barns courses have developed to cultivate a non-competitive, sociable and encouraging atmosphere with a focus on excellent, all-inclusive music-making, expert tuition, good food and good company. Over fifty-four residential courses, a large number of Flute Days, an incredible amount of experience and numerous returning players to date, Flutes at the Barns has proved to be exceptional in its value for money, exclusivity and level of involvement for all performers!